Returning to work is daunting for many women. The emotional pull of leaving their baby in childcare, the fear of balancing work and home commitments, and the unknown of how their industry/job has changed in the time they have taken out. Employers can be unreasonable in their expectations. Putting in place little support, inductions, or training means that there can too often be a sink or swim mentality. In PR, where women dominate the workforce, but males still dominate the very top positions, it is critical that we support better pathways back to work. This means thinking out of the box. Being more comfortable with flexible and new ways of working. Building career plans before AND after maternity leave. And being clear about expectations. It also means that women need to take personal responsibility for their career. Lean-in while pregnant and write a plan for your maternity leave and return to work. Be clear in your mind about how work/home balance will work as you prepare to return to work. Be honest with your employer about any concerns you have. Talk to other women about their experiences and ensure you have a strong network. Be clear about what is expected of you and then smash through those expectations (in a good way!). Attracting and retaining the best talent continues to be one of our biggest challenges. So spending more time getting return to work pathways right should be a no-brainer for PR agencies. It is a top priority for me as a female leader. As a society, we have a huge problem with women returners – those who, for whatever reason, have taken a career break. And we still live in a world where a woman’s suitability for a job can be queried based on her gender alone. A recent study by the Equalities and Human Rights Commission (EHRC) found that three-quarters of working mothers had experienced bias or been forced out of their jobs as a result of having children. Women returning from maternity leave are more likely to face discrimination than they were a decade ago. There’s nothing to suggest that Mauresmo has been the victim of such shocking attitudes. 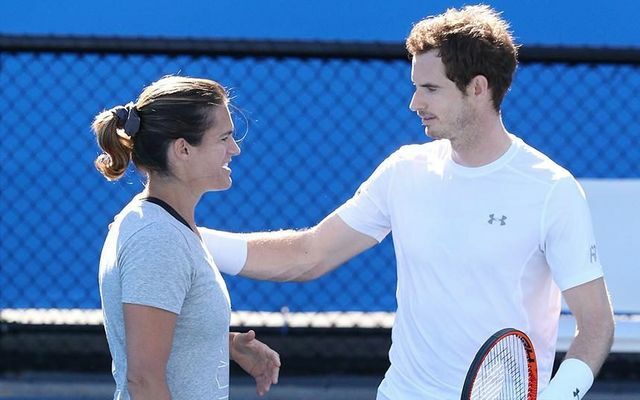 Her partnership with Murray has seemingly been rich, producing results. It may be that they've simply lost their spark.